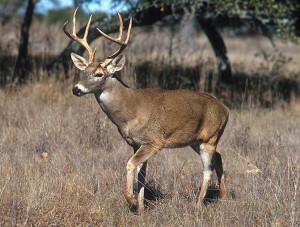 In the state of Georgia, there are two seasons that reign supreme – football and deer. Although both officially kicked off in September, they don’t really get started until October. The weather cools down (sometimes) and the most wonderful time of year arrives. There’s nothing quite like a crisp fall morning in the deer stand followed by an afternoon of college football on the television. At the end of this month we’ll see Georgia’s rifle season come in and more hunters will hit the woods. The week between bow season and rifle season (October 13-19), also known as “primitive weapons season”, features college football games too – Georgia at LSU and Tennessee at Auburn. But it’s the 3rd Saturday in October that brings the hunters out in full force. Rifle season comes in October 20th in our great state, and coincidentally, Georgia is off that week – undoubtedly to prepare for the big game in Jacksonville the next. Since Georgia fans won’t be preoccupied with football, I expect opening day of rifle season will be heavily trafficked. As the calendar has rolled over into fall, the weather has yet to cooperate. We’re still seeing 90 degree days and that’s not great for the deer hunting (or mid afternoon football games in Athens or Tallahassee). But it won’t take long for the mornings to feel a little bit different. We’ll walk outside expecting to be hit with that wave of humidity only to feel a slight change in the air. And we’ll probably breathe a sigh of relief. We made it through another summer. WEATHER: Lows in the 60’s? Maybe.